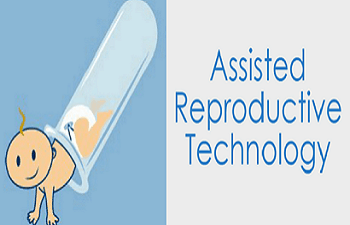 In vitro fertilization refers to the fusion of the egg and the sperm in a petri dish in the laboratory. After fertilization occurs, the embryo is placed in the woman’s womb, and this process is called Embryo Transfer (ET). It’s used in a range of circumstances to help with pregnancy, but especially, in the cases where fallopian tubes are blocked. In case of multiple embryos, they are often frozen for later use. Artificial Insemination is recommended in cases where the reason for infertility is not known, cervical mucus is hostile, or if there’s a factor of male infertility. In this, a donor’s sperm or egg is used to assist with the conception. It is generally used in case where the woman isn’t able to produce eggs or the eggs are of very low quality, or there is a high risk of the woman passing on some kind of genetic disease or if the woman has experienced several miscarriages before. ICSI is used primarily in circumstances where the problems are with the sperm. This process is quite similar to IVF process, however, in this procedure, the sperm is injected directly into each egg to achieve fertilization and hence, the formation of zygote occurs. GIFT is no longer a very common procedure. The process is very much similar to IVF, except that in this case, in place of a petri dish, the egg and the sperm are placed in the fallopian tube where fertilization takes place. Surrogacy is the type of ART in which a woman (surrogate) carries a child for another couple or person till parturition, with the intention of giving the child to the couple or person after delivery.